The final instalment of a riveting 2015 season culminated in a special 3-day series that reintroduced the High Roller event, which brought many local luminaries to the fore. 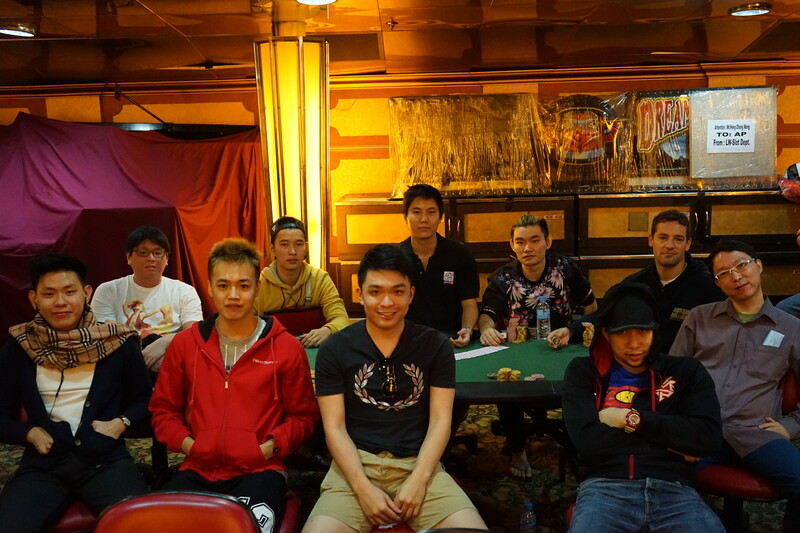 APT Main Event champions Feng Zhao and Adrian Lim lead the contingent of heavy hitters, which also included former LWPS Main Event champions Aaron Lam, Liew Kok Kong, Sean Tan, John Low and Ho Bao Qiang. Commencing on Friday evening, the response turned out greater than expected with a total of 48 runners of exceptional calibre. A deep stack and great structure facilitated a high quality of play where no soft tables were present. Riding on his victory at the latest APT Manila, Adrian Lim, continued his run of form and stamped his authority on the tournament with his trademark reads and impeccable timing. After a riveting back and forth chip exchange during heads up play, Adrian managed to push through the resilience of Roger Flueckiger and added another trophy to his growing cabinet. 53 players emerged unscathed after a tumultuous Day 1 where 232 poker pundits, enthusiasts and professionals fought against one another on the felt-laden battlefield. 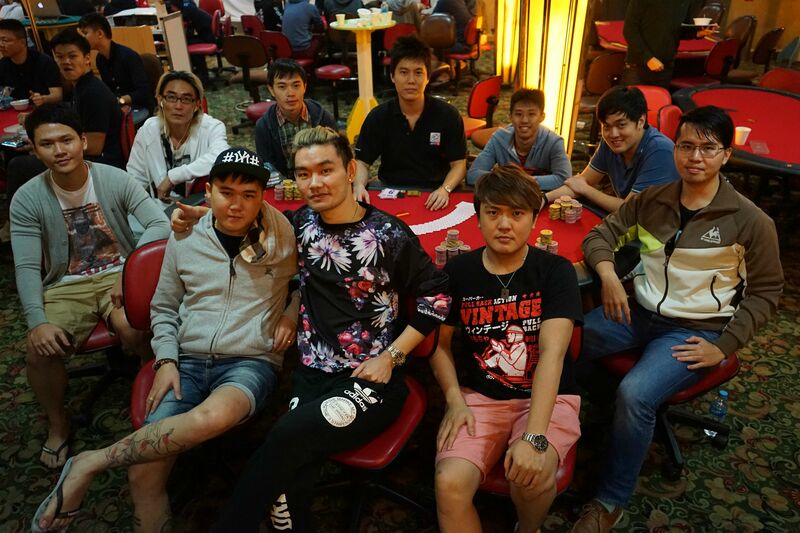 Those who thrived after the first flight included overnight chip leader Edwin Tan, Ho Bao Qiang, Ceesvin Abraham, Adrian Lim and Sim Kah Seng, all of whom amassed over 100k in chips. Only 27 players would make the money and the short stacks were quick to get to work. Among those that made the money but fell short of the final table included Dhanesh Chainani (27th) and Liew Kok Kong (14th), and accompanied by the lovely ladies, Adeline Lok (24th) and Sheila Chung (22nd). 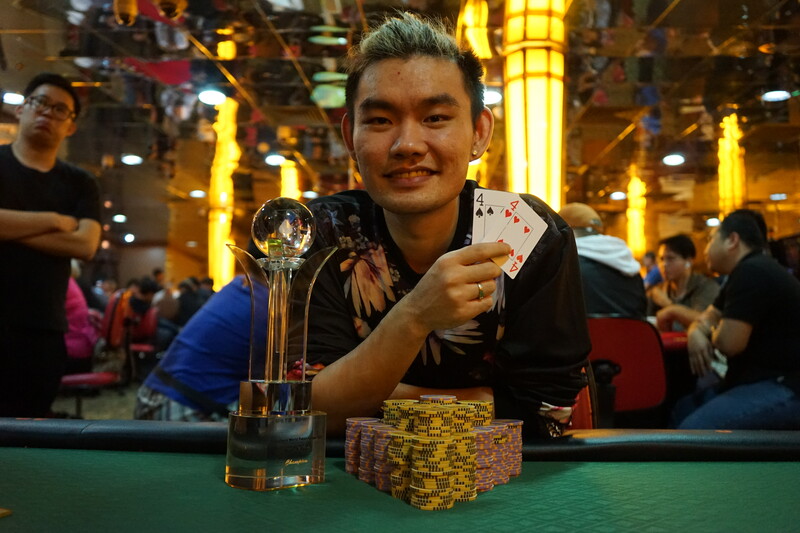 With Ho Bao Qiang standing on 25% of the total chips in play and newly-minted High Roller champion Adrian Lim looking for an unprecedented double crown, the final table proved to be one of the toughest we've had thus far. 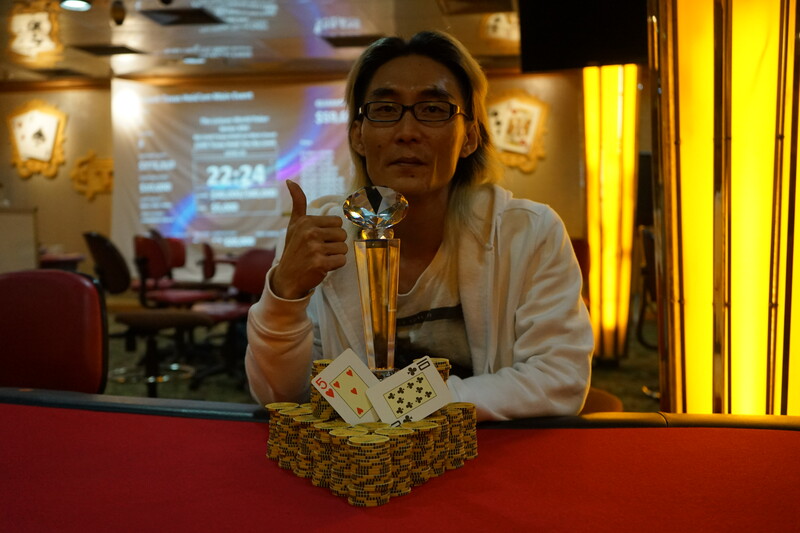 With his aggressive style, Adrian Lim was quick off the mark to draw first blood at the final table, when he woke up with Ad Qh and called Andy Teo's Ac 7c all-in. The board ran out an uneventful 6h 5h Js 6c 9d, sending the veteran Andy out in 9th place. Ryan Heng who had just doubled up through chip leader Ho Bao Qiang earlier, found himself behind Jason Sim's Ah Qh holding a dominated As Ts. However, he found lady luck's favour when he spiked a ten on the flop, holding up by the river to send Jason home in 8th place. Despite coming into the final table as chip leader, Bao Qiang struggled to keep his wealth of chips and took multiple hits to his stack. Having left himself vulnerable, Bao Qiang put his tournament life in a coin flip situation with his Kc Jd against Michael Soh's pocket 10s. The board ran 5c 2s 7s 9s Ac, and a disappointed Bao Qiang hit the rails in 7th. With the remaining players’ chips pretty even at this point, players became more cautions with putting their chips at risk. However, the rising blinds piled on the pressure and Chow Jing Han was the first to crack. His Ac 8d ran into Ryan's Jd Jc and failed to find the much needed Ace on the board to stay in the tournament. He busted out in 6th place; a more than respectable finish for a first time LWPS participant. Short-stacked Dion Wee then found a rash of good cards that led to a big 50-50 against the relatively quiet Zhang Chang Jie. Dion's Th Td put Chang Jie's tournament life at risk who held Ac Qd. 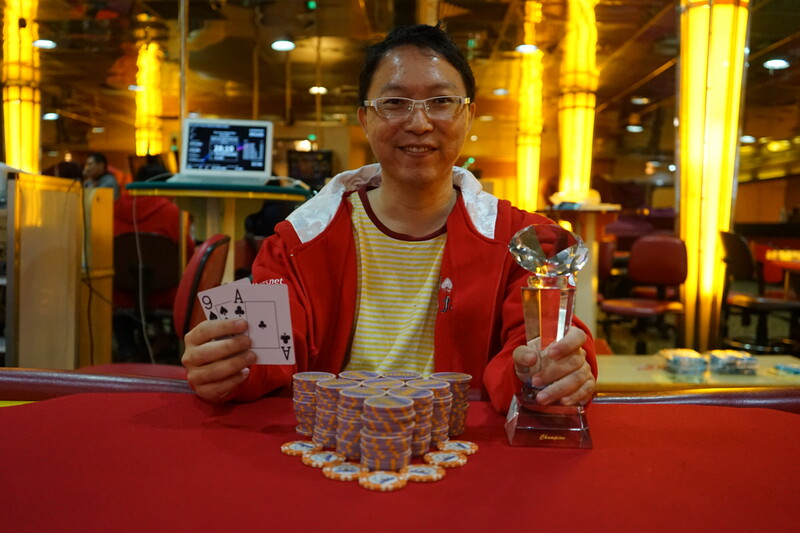 Pocket tens held against two menacing overcards once again and Jing Han exited in 5th place. As the blinds continued to rise, players were all under pressure to make their moves sooner than later. Adrian Lim took the first shot, shoving all his chips with 6s8d but Michael woke up with Ad7c and called off Adrian's all-in. An Ace in the window followed by Qc and Jh on the flop left Adrian with the slimmest of chances. The turn and river did not help and the current APT Manila and LWPS High Roller champion exited in 4th place. A phenomenal feat that proves poker has more skill involved than most people realise. With his newfound chip lead, Michael went to work grinding out the shorter stacks, being aggressive and piling on the pressure. His next victim was Dion who pushed all his chips in with Qh Js. Michael's As 9c took a hit when a J tabled on the flop but the Ace on the turn flipped the tables once again. The river brought no help to third-placed Dion and Michael heaved a sigh of relief. And then there were two. Michael held an overwhelming chip lead against Ryan during heads up and the pivotal hand that decided the tournament was on a board of 5s 7h 7d 5c Qh. Ryan had just gone all-in on the river, leaving Michael deeply immersed in the tank. During the prolonged deliberation, Michael took to his feet and lit a cigarette in deep consternation. He eventually made the call and Ryan tabled Qc 6c for a pair on the river. Michael calmly opened his cards showing fives full of sevens, and the rail erupted to congratulate our new crowned LWPS Main Event champion! The Leisure World Poker Series thanks all who have participated and supported us for the last 6 seasons. We truly have enjoyed every LWPS season, series and moment. The future of LWPS is up in the air at time of writing, but stay tuned to our Facebook Group or Pokerkaki for updates and announcements.